From rural farmlands to modern megacities, the complex and diverse Asia-Pacific infrastructure sector continues to attract international investment. Our survey shows investors are very positive about future opportunities and analyses the countries and sectors attracting this optimism. 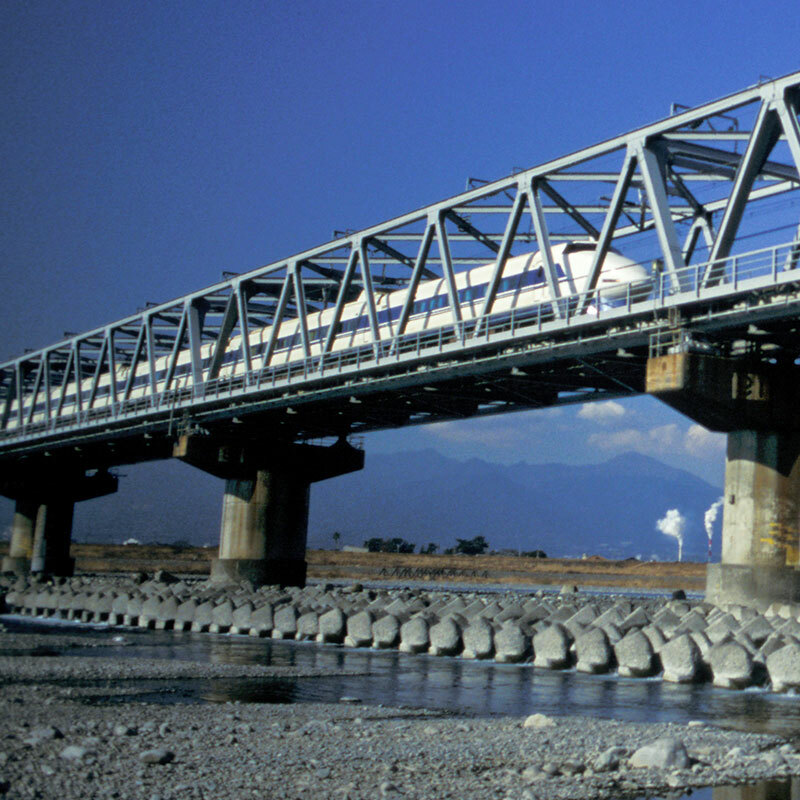 The Asia-Pacific infrastructure market is open for business and opportunities abound. However, as our exclusive survey reveals, the prevailing wisdom on sentiment, regions and sectors may be wide of the mark. Asia-Pacific (APAC) is one of the most dynamic regions on the planet and its need for infrastructure investment is acute. The Asian Development Bank (ADB) estimates that the region needs US$1.7 trillion of infrastructure investment by 2030 to keep pace with climate change and economic growth. 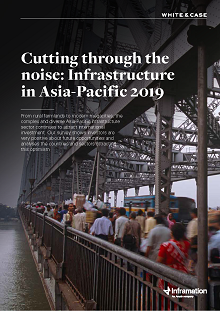 With these sentiments in mind, White & Case, in association with Inframation Group, set out to investigate the prospects for infrastructure investment across the APAC region. We interviewed 100 global senior executives from institutional investment firms, private equity houses and investment banks to gauge their views on the current infrastructure investment opportunities. In Q4 2018, White & Case, in partnership with Inframation Group, surveyed 100 senior-level direct equity investors and financial services firms who had developed, funded or invested in at least one APAC infrastructure project in the past 12 months, with a value in excess of US$100 million. Respondent firms include investment funds, sponsors and developers, pension funds, sovereign wealth funds, investment banks and financial institutions. Of those surveyed, 50 respondents were based in APAC, 25 were based in EMEA and 25 were based in the Americas. The survey included a combination of qualitative and quantitative questions, and all interviews were conducted over the telephone by appointment. Results were analysed and collated by Inframation Group, and all responses are anonymised and presented in aggregate. Despite the infrastructure gap, the threat of trade wars and global political instability, the outlook from respondents is overwhelmingly positive—88 per cent of firms are expanding their teams in the region in 2019. Nobody is predicting any contraction. If 2018 was the year for investment in renewable energy, then 2019 appears to be the one for transportation—in particular, roads. In spite of the clamour around other infrastructure sectors, roads are seen as the key infrastructure sector destination—67 per cent are planning to invest in the sector. Respondents’ choices for top investment destinations cut through recent noise about the rise of some developing APAC countries. According to our survey, investors will be concentrating their activity on larger, more stable countries such as Australia, India and Singapore. APAC countries with perceived higher political/systemic risk such as Sri Lanka, Pakistan and Vietnam appear to have drifted down the priority list as investment destinations for many investors. Above all, investors see APAC as a land of opportunity. Indeed, when asked about the greatest benefits to investing in the region, opportunity crops up in a number of different guises. Over half see a ’wealth of opportunity‘; more than a third envisage ’development of knock-on/secondary opportunities’, and a third are looking forward to the ’consolidation of related opportunities‘. 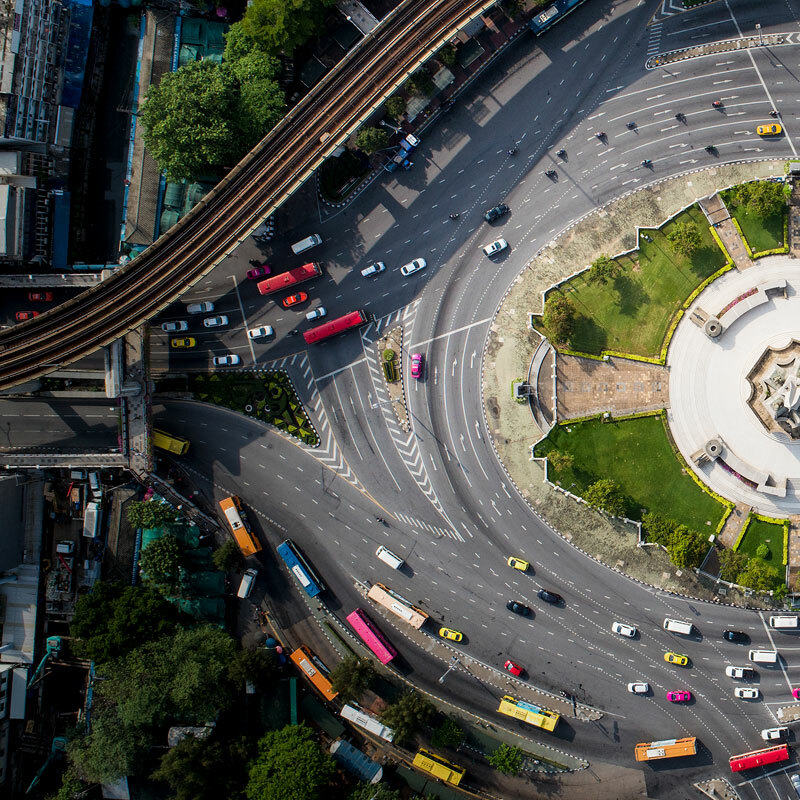 Partners Adeline Pang and Josh Sgro discuss the outlook for infrastructure in Asia-Pacific based on the survey of 100 decision makers in the market. The overwhelming majority of respondents see a multiplicity of opportunities in a variety of sectors and regions. However, our survey reveals that the ‘noise’ around some investment locations may be just that—noise. Global infrastructure investment has grown considerably in the past ten years. The sector is universally recognised as an attractive one for investors due to the stable, long-term returns that are on offer. And the nature of funding is being transformed as more private backers enter the fray. The multiplicity of assets in the APAC region has not gone unnoticed by investors. Indeed, there are such a large number of projects currently ongoing in the region that when asked, unprompted, to name an infrastructure project in APAC likely to come to market this year, respondents replied with more than 30 different ventures, from the Mumbai–Ahmedabad high-speed rail corridor in India to the deep tunnel sewerage system in Singapore. The breadth and diversity of assets on offer in the region has attracted a great deal of attention from global investors, and our survey shows that 88 per cent of respondents plan to increase their APAC team size. Meanwhile, on average, respondents have 50 per cent of their total infrastructure spend invested in the APAC market. The rationales behind investment are as numerous as the countries in APAC. However, well over half of respondents (59 per cent) stated that the strength of long-term investment return was one of the top-three benefits of investing in emerging Asia-Pacific economies. ’Investments in infrastructure in APAC will yield stable returns and at the same time support the economic growth of the country and region significantly,’ says the director of investment of a pension fund in China. Given the vast number of projects in the pipeline, it is unsurprising that the wealth of opportunity is a prominent draw for investors. It’s a big stage, with developing economies attracting less competition than more mature markets, which eases pressure on pricing, particularly where firms are helping developing countries in their efforts to forge new markets in renewable energy. While investors are eyeing up prospects across the region, our research reveals that the majority are looking at countries with healthy economies, stable political systems, reliable and trusted legal frameworks, and decent investment track records. Australia tops the ranking as the likely destination for investment from 54 per cent of survey respondents. India (48 per cent), China (39 per cent) and Malaysia (36 per cent) come next. As if to prove the point, Australia saw last year’s largest APAC infrastructure M&A deal, according to figures from Inframation Group, when Sydney Transport Partners acquired a 51 per cent stake in the new WestConnex toll road for US$6.5 billion. Australia (41 per cent) is also the country which most investors are excited about in terms of future opportunities, followed by Singapore (32 per cent) and India (28 per cent). These results cut through recent noise about the rise of some developing APAC countries. Most investors are steering clear of the least stable and higher-risk areas. Sri Lanka (38 per cent) and Pakistan (36 per cent), in particular, are losing their appeal, according to our respondents. While investors are looking at a variety of sectors in the region, our survey reveals that roads are the top priority, while both conventional and renewable energy are still very much on the radar. Our research shows that transportation (in particular, roads) and energy (both conventional and renewable) are the top priorities for investors. These findings tally with figures from Inframation Group on the sectoral direction of infrastructure M&A in the APAC region in the past two years. In deal value terms, transport captured 32 per cent of the market in 2018 (up from 29 per cent in 2017), while renewables took 28 per cent in 2018. The volume figures are reversed with renewables on a 51 per cent market share last year, followed by transport with 22 per cent. The necessity for road investment was spelled out in a May 2018 report from the Asian Infrastructure Investment Bank (AIIB) which stated that ’Investment across the region is expected to be focused on road infrastructure, which comprises nearly 70 per cent of total estimated required investment.’ The dominance of road transportation is borne out by figures from the AIIB report, which estimate that the share of journeys by road will be 70 per cent (compared to 19 per cent by rail and 11 per cent by air) in 2030.
Notable major road projects presenting opportunities for investment include the 600-km-long Ganga Expressway in India. That is just one project on an expansive list of road schemes planned across the APAC region. In the Philippines, the US$500 million Mindanao Road Project has been backed with loans from the ADB, while Australia has its own large-scale road construction plans including the WestConnex Toll Road in Sydney and the North East Link in Victoria. Roads are not the only transportation infrastructure sector that respondents are prioritising—40 per cent state that they are planning to invest in rail in 2019. 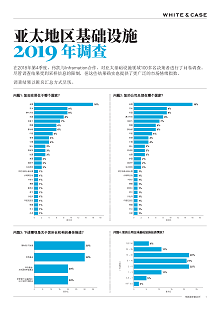 The profile of rail transportation as an investment opportunity was highlighted by the choices that respondents made when asked to name, unprompted, Asia-Pacific infrastructure projects likely to get off the ground this year—the top-six selections were all rail projects. Energy, both conventional and renewable, is also a major draw for infrastructure investors in the region. According to GlobalData Energy, approximately 130 new oil & gas production facilities are expected to enter operation across the APAC region by 2025. India will account for the most with 62 projects, followed by China with 20. Indonesia, Vietnam and Malaysia are expected to each develop between ten and 15 projects. Fifty-six per cent of respondents are likely to invest in energy transmission, while 55 per cent are looking toward conventional energy generation. These figures rise when we examine specific regions—73 per cent plan to invest in transmission in Singapore, while 64 per cent expect to commit funds to conventional energy in South Korea. High levels of inward energy investment across APAC countries reinforce a view that many countries are looking to reduce their oil & gas imports. Homegrown power projects promise greater independence, as well as both the economic and political security that comes with being more self-sufficient. Meanwhile, renewable energy continues its growth in the region. According to the International Renewable Energy Agency’s Renewable Capacity Statistics 2018, Asia accounted for nearly two-thirds of the world’s new renewable capacity in 2017. The region was also the fastest-growing area, achieving growth of 13 per cent. 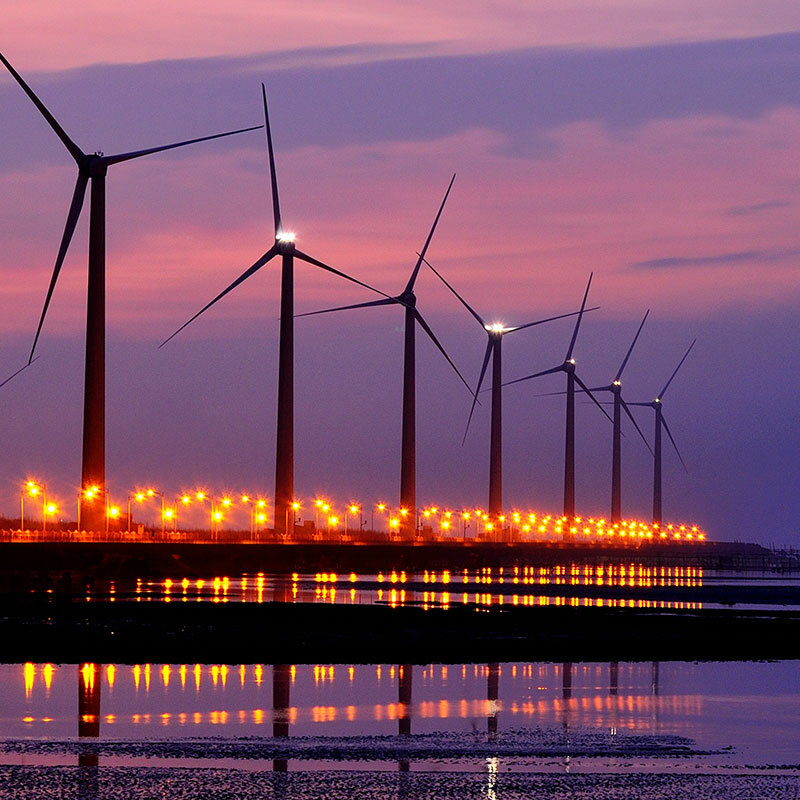 Our research suggests that offshore wind is set to remain a key part of investors’ portfolios. If we take Australia, Japan and Singapore out of the equation, then offshore wind leapfrogs over conventional energy into second place in the ranking of sectors. Across the whole APAC region, 43 per cent of respondents have plans to invest in offshore wind projects. Major offshore (and onshore) wind projects have emerged in Taiwan, South Korea and Japan. Momentum continues to build in renewables—79 per cent of our respondents cite relatively low capital costs as a major attraction for investment, and costs are decreasing as the volume of projects builds and the technology matures. There are, of course, environmental reasons for developing green forms of energy, which are clearly now looked upon favourably by investors: ’Renewable energy projects are a great value add and clearly indicate the seriousness of governments towards sustainable development. If a country is able to develop it, this shows a considerable amount of sophistication,’ explains the director of one US investment fund. This snowball effect indicates further progression for offshore wind and other renewable energy schemes. And gathering momentum in renewables also means more demand for supporting infrastructure. An overwhelming 92 per cent of our respondents agree that financial close being reached on a significant number of renewable energy projects in 2018 will have a positive influence on bringing other infrastructure schemes to fruition this year. An example of this influence can be seen with port developments. A fifth of the investors we surveyed plan to inject funds into new ports and marine expansion schemes this year. Investment in ports can be seen to have resulted partly from the boom in renewable energy— offshore wind projects demand a certain amount of service and heavy engineering support from nearby port infrastructure. Despite the enthusiasm for renewable energy, it is not without its challenges. Firstly, a great deal of the existing grid infrastructure in some APAC countries is not necessarily equipped to deal with renewable projects and this introduces challenges in terms of delivering power to its desired destination. Where they can deliver, there are other technological risks—just over half of our survey respondents agree that technology presents greater risk in renewable energy schemes compared to other projects. This is, at least in part, believed to be a reflection of the likelihood of technology changing during project life cycles. In a related issue, there may also be the risk of supply issues because, in a number of countries, there are only a limited number of contractors that are experienced enough to deliver these projects. As project managers and investors become more comfortable with the development of technology, and as costs begin to come down, the efficiency that it can bring should more than outweigh the risks. The rewards for infrastructure investors in APAC can be lucrative, but the region is not without its risks—particularly political ones. Results from our survey are remarkably consistent on the challenges and risks faced by infrastructure projects across the region. Nearly two-thirds (59 per cent) of respondents consider political risk to be the biggest threat to project success. This may stem from governments inexperienced with large-scale projects or dealing with foreign private investors; unstable regimes; or the slow pace of project implementation, which is a common criticism in APAC. An example of politics halting infrastructure’s progress was seen in the postponement of the construction of the Kuala Lumpur and Singapore High Speed Railway in September 2018. The project’s delay has come in the wake of the new Malaysian government of Mahathir Mohamad initiating efforts to reduce the country’s debt burden with cuts in spending. ’Politics and policy issues often break infrastructure projects and restrict private investments‘, says a partner of one investment fund in Singapore. ’The main problem for investors is political uncertainty. If governments lack authority, they are thus restricted in taking clear decisions‘. Given these challenges, governments looking to attract investors need to provide them with a level of political and legal stability or at least a certain level of compensation, should that stability not be available for the reasonable life of the project. This may mean stabilisation clauses in their contracts or some form of governmental assurance that the laws as applicable to them will remain stable. Inadequate regulatory regimes are cited by 38 per cent of respondents. Clearly, certain countries are seen as still having much work to do to improve the way their infrastructure projects are regulated and developed to legal frameworks. According to one project sponsor’s head of M&A: ’Emerging markets in the region have different governmental systems and various types of policies that reduce transparency—especially taxation policies and trade regulations. Corruption remains a major concern in some jurisdictions’. When asked about the threat of trade wars and economic sanctions affecting investment across the APAC region, our research delivered a mixed response: 50 per cent of respondents agreed or strongly agreed that such sanctions would have a negative effect, while 43 per cent disagreed. Energy—and specifically offshore wind—sectors illustrate what may happen if sanctions and trade tariffs increase, because these industries rely heavily on components made and distributed from different places within and outside the APAC region. Trade disruption may increase costs, or it may simply shift supply networks to areas not affected. Our survey confirms that the majority of investors are extremely vigilant when it comes to mitigating these particular risks. Only 24 per cent of respondents said their business models have not changed as a result of climate change risks. More than a third (38 per cent) said they are investing only in countries where disaster recovery and protection against the effects are a high priority, and 25 per cent said they only invest where the risks are low. Such comments could be seen to be painting a bleak picture of prospects, but it’s worth noting that despite the risks, our figures reflect investors’ interest in non-OECD developing APAC nations. Indonesia, for example, backed by regional institutional investors, is the top country for respondents after Australia, India and Singapore. The sheer depth of opportunity is drawing their interest and the overall picture of regulation and reliability is an improving one. There has been a growth in the number of funds targeting the APAC infrastructure market as investors seek out greater returns. Meanwhile, public-private partnerships are likely to increase if they can overcome several systemic barriers. The financing for major infrastructure projects in the region will come from a variety of sources, according to our research, although the results are largely as expected. Respondents feel that pension funds (70 per cent), investment funds (64 per cent) and equity investors (39 per cent) are likely to be the main sources of investment. A number of market players, including major private equity houses, are now looking at the APAC market. For example, at the end of last year, it was reported that New York–based private equity firm KKR was planning to launch its first Asia-focused infrastructure fund of between US$1.5 and US$2 billion. One significant development is an apparent shift in the way funds provide equity and debt as firms rebadge themselves to take advantage of the depth of opportunities on offer. 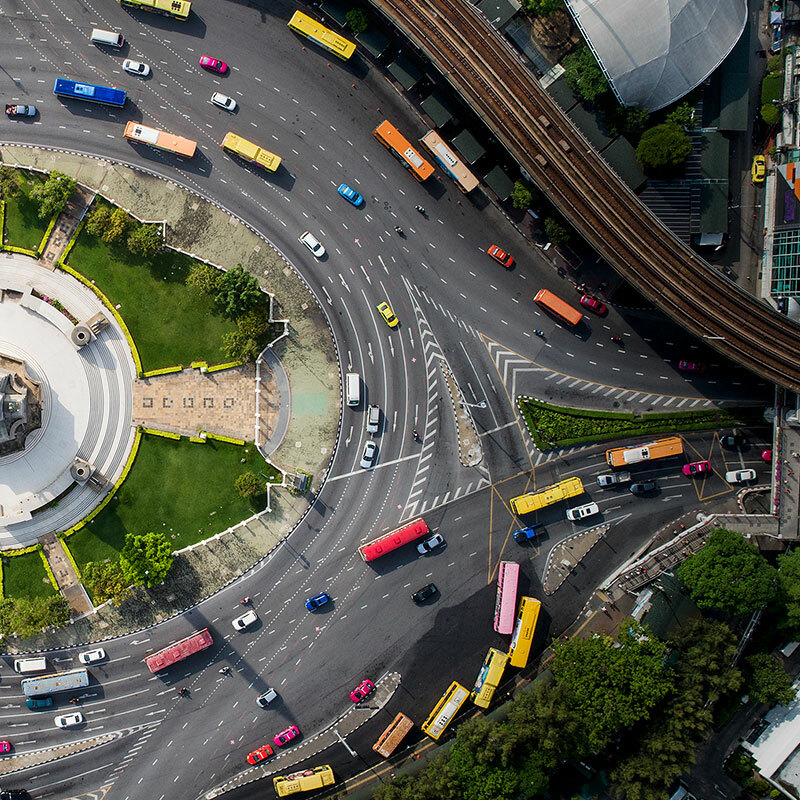 A market traditionally populated almost entirely by dedicated infrastructure funds is now seeing the presence of others, such as pension funds, looking to spread their interest to infrastructure in the APAC region. Some are now exploring ways to take on more than just equity stakes in projects—raising the required debt as well, and so effectively funding projects in their entirety. The risks are greater, but so too are the returns. The opportunities and security of returns have become sufficient for funds to see the sense in taking a greater stake in the form of debt as well. The emergence of such innovative forms of financing can be seen as indicative of growing confidence in the APAC region. This environment for funding and finance is being given a further boost by the activities of national quasi-governmental export credit agencies and multilateral agencies such as the ADB. Support from these organisations is helping to drive down the costs of debt funding, particularly in countries where political risk has previously made financing difficult. Obtaining affordable finance is still a considerable challenge for projects across the region. Our survey results point to a market belief that PPPs will be the preferred method of delivering infrastructure projects for developing APAC nations—according to 71 per cent of respondents. Definitions and interpretations of PPPs tend to vary across the region. Not everywhere can it be assumed that an equitable partnership will be set up on favourable terms for investors, and with all of the right documentation in place. Vietnam, for example, is one country where the government has been repeatedly lobbied by stakeholders, who feel the terms of concessions and power purchase agreements need to improve and become more internationalised. However, the tried and tested model that has worked well in developed countries is spreading to others. ’PPPs are a proven method to finance and develop infrastructure projects in developed markets, and it is has already worked in India and some other APAC markets. Now other countries in APAC need to adopt PPPs to finance and develop infrastructure‘, says the managing director of one US investment fund. Other commentators are less than convinced—38 per cent see a lack of support for PPPs as a major risk, while just over a third (36 per cent) believe a lack of government strength in PPPs is a key obstacle. One US investment fund director says: ‘PPPs are still fairly new to APAC, and there is very slow adoption. The framework is yet to be developed completely and there is no guarantee that governments will stick to PPPs. Their commitment level is poor’. Despite these misgivings, the overall picture for PPP development appears to be improving. ‘Infrastructure hubs’ like Singapore are providing a useful method of spreading good practice and benchmarking. The PPP models may vary from one country to another—with projects remaining as state-owned enterprises before selling to private interests in some cases—but in the Philippines and elsewhere, the problems and difficulties have been overcome to bring PPP projects to financial close. Overall, market commentators feel that there is a great deal of liquidity looking for good projects to invest in, from pension and investment funds, equity and commercial banks. An increase in multilateral and government-to-government financing is a trend remarked upon with increasing frequency. The big question is, can countries reform or develop their legal frameworks to make greater use of the financing on offer? There are signs that this is happening. Countries are implementing measures to develop their capital markets and give greater freedom for their pension funds to invest. Such reforms are needed for countries such as Laos, Cambodia and Bangladesh to attract foreign investment. Risks may persist around infrastructure investment in APAC, but the overall outlook is very positive. Our survey revealed that road transportation is looking very promising as a sector as countries develop. 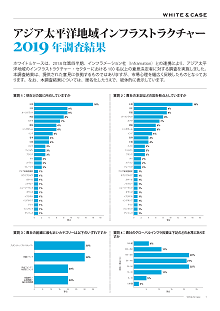 But overall, the sheer number and diversity of major projects listed by respondents can be seen to reflect a general excitement for APAC infrastructure— and countries’ ambitions—not to mention the great number of different countries that are viewed as attractive in the coming years. Given current global macroeconomic and political volatility, it is hardly surprising that the majority of respondents are looking at larger, more ‘stable’ economies such as Australia, Singapore and India in 2019. However, countries such as Indonesia, Malaysia, Thailand and the Philippines also feature prominently, and it is likely because investors see the long-term benefits on offer. Indeed, when asked about the benefits of investing in Asian economies, the strength of long-term investment return came out as the top answer. The renewable energy market is showing sustained growth. Technical risks and costs have reduced as the volume of projects builds beyond the first generation of offshore wind projects. Political risk still exists—changes in governments and policies on green energy can cause short-term setbacks—but a changing climate and demand for sustainable energy mean that renewables projects are set to grow. 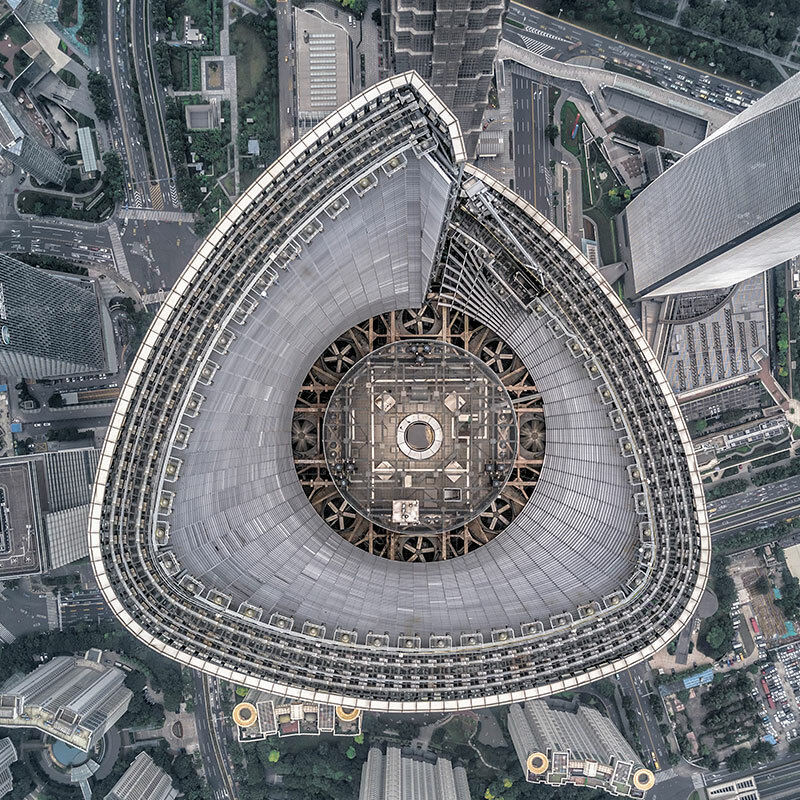 Barring major macroeconomic shocks, which are always a risk for government-backed infrastructure programmes, more market reform will allow investors access to a wider portfolio of projects. Variation in definitions notwithstanding, PPPs formed and executed well will bring benefits for public and private sectors. ‘APAC governments are planning to increase infrastructure financing and development by easing regulations for private and foreign investor participation’, says the managing director of an investment fund in Hong Kong. All the infrastructure sectors outlined in the report rely heavily on technology and this dependence is only going to grow in the coming years. The managing director of an investment fund in Canada says: ’I feel technology will play a significant role in infrastructure development in 2019 and beyond. Technology disruption and the use of machine learning, robotics and AI will be centre stage and will completely alter the way infrastructure development happens in the future’. However, investors shouldn’t just see technology as a disruptive force but an enabling one allowing major projects to be completed more safely, quickly and efficiently.